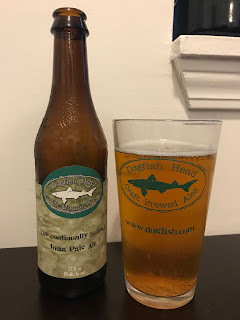 Dogfish Head has been in Indiana for quite some time, and as soon as they arrived, I made sure to grab a 60 Minute and a 90 Minute IPA from them. It was a little more difficult to find single bottles of the 120 Minutes, but randomly, I would see them - but I was just never in the mood to pick one up. 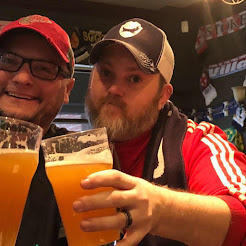 As I came to terms with the fact that this blog is around 25 Beers away from competing my goal of 1000 different beers, I decided that NOW was the time that I needed to make this happen. The glassware used this afternoon was AS CLOSE as I could possible get to their OFFICIAL recommendations.. In an interesting twist of fate, this turned out to be my least favorite beer today. However, almost FOUR years after I tried it for the first time, my thoughts remain the same in regards to the 60 minute. It's VERY dry, and quite bitter in the backend. I don't really enjoy it, but I don't hate it. I'm not interested in ordering one when I go out - but I would not turn one down if it was offered to me. It's not my favorite, but I don't mind drinking it. But, it's my least favorite and glad I started with it. Things only get better from here. BEER 811 revisited. 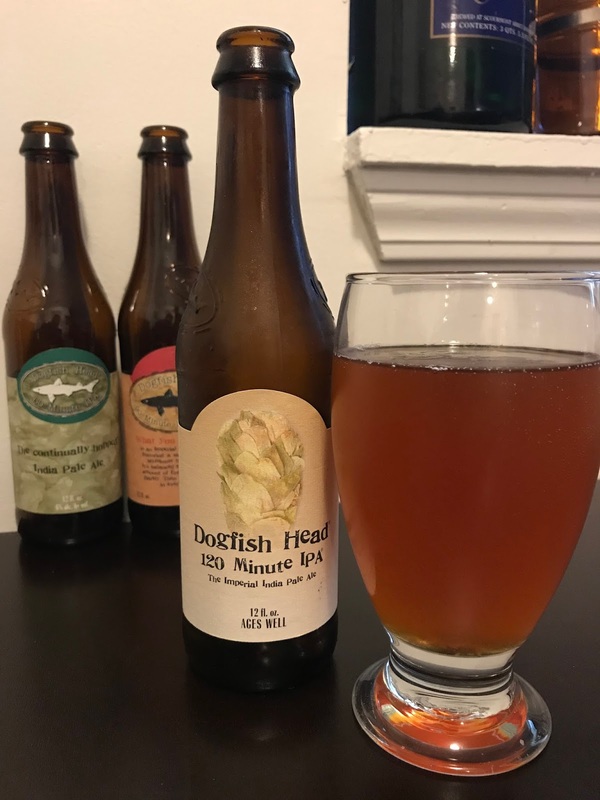 One year and one month ago - OR One Hundred and Sixty-Three beers ago - I tried the 90 Minute. As far as this post is concerned, I am TWO-for-TWO. My feelings that night definitely echo how I feel today. I enjoy the 90 Minute more than the 60 Minute, and I think the flavors are a lot better. There is a similar bitterness, but the dry backend is less noticeable. A good beer, and a step from the previous. BEER 973, the beer I drank earlier this afternoon. I have all three of these beer fresh in my mind - and somehow the longest brewed, and longest dry-hopped verison is my favorite. You can read my full review in the link, but the truth is: I enjoy this beer the most of the three. The bitterness is there, but not terrible. The dryness is there, but mild. The fruity and floral flavors actually seem to "pop" in this beer. It's BIG and strong, and reminds me of a Quad, or Imperial Ale. It's enjoyable. I would choose to drink this one before either of the other two. 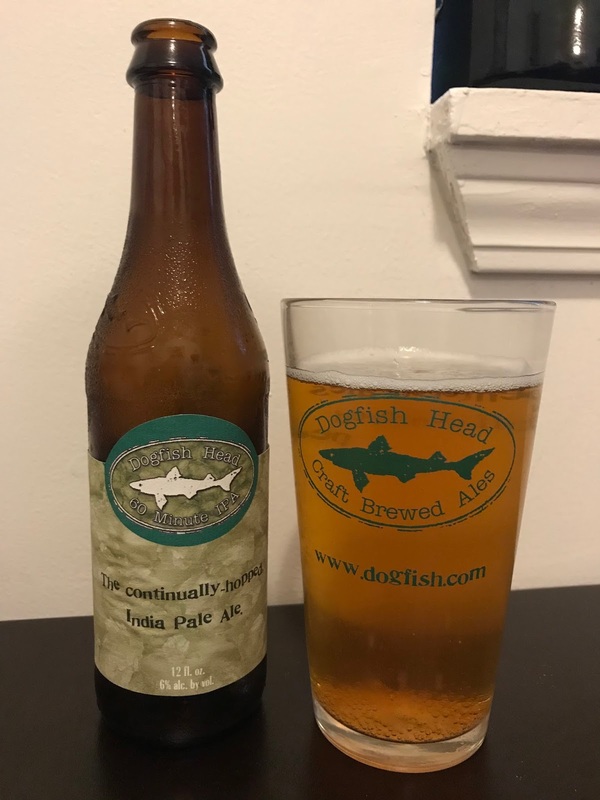 The Trifecta: 270 Minutes of Dogfish Head Pale Ale Bliss. I have been waiting a long time to do this beer. 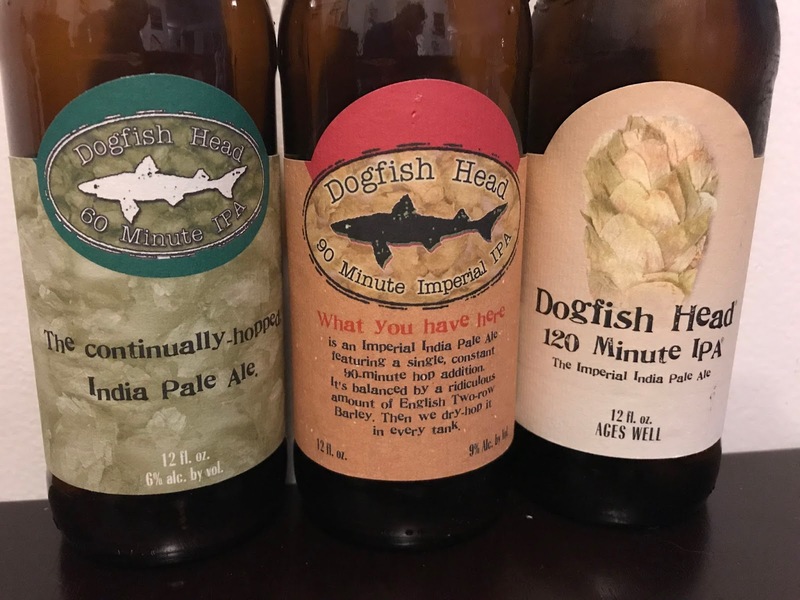 When Dogfish Head first came to Indiana, I picked up the 60 Minute and the 90 Minute and put them away, waiting for the day I would do all three. I saw the single 120 Minute bottles a few times, but was never in the mood to buy them - needing some serious time to mentally prepare what I expected to be a terrible drinking experience. As this website is getting close and close to "the end" - I decided I needed to make this happen. As you will see in my next post, I took this Sunday afternoon to indulge in 270 Minutes of Bliss. And oddly, the 120 Minute was my favorite of the three. It's a BIG beer, Dogfish’s website lists the ABV between 15% and 20%, which I believe - however, it does go down very smooth for being so big. But it's enjoyable - I compare this beer to an Imperial Quad. Or even a Bourbon Barrel aged ale. It's big, it's thick, it's heavy - but the flavors are really good. It's NOT as dry as I expected. 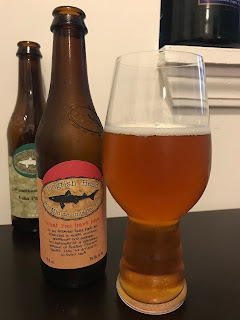 It is bitter up front, but there are also very good flavors in the back end, almost a fruity aftertaste. NOT a the dry, "I need water!" that I was expecting. I am very happy that I did this beer.